In September 2014 the wreck of a sailing vessel was discovered at the bottom of the sea in the frozen wastes of the Canadian arctic. It was broken at the stern and covered in a woolly coat of underwater vegetation. Its whereabouts had been a mystery for over a century and a half. Its name was HMS Erebus. 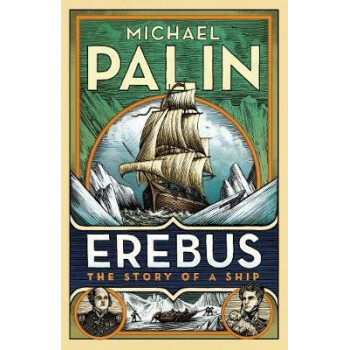 Now Michael Palin - former Monty Python stalwart and much-loved television globetrotter - brings this extraordinary ship back to life, following it from its launch in 1826 to the epic voyages of discovery that led to glory in the Antarctic and to ultimate catastrophe in the Arctic. He explores the intertwined careers of the men who shared its journeys- the dashing James Clark Ross who charted much of the 'Great Southern Barrier' and oversaw some of the earliest scientific experiments to be conducted there; and the troubled John Franklin, who at the age of sixty and after a chequered career, commanded the ship on its final, disastrous expedition. And he vividly recounts the experiences of the men who first stepped ashore on Antarctica's Victoria Land, and those who, just a few years later, froze to death one by one in the Arctic ice, as rescue missions desperately tried to reach them. The result is a wonderfully evocative account of one of the most extraordinary adventures of the nineteenth century, as reimagined by a master explorer and storyteller.